Hi all, it's December already? The end of the year? The last 2 months have been weddings, exhibitions, Thanksgiving and hair events in America, Christmas with my family in London and a hair project with the BBC. The last year has been awesome, I can honestly say I have made a living from doing what I am passionate about. I have met some amazing people. 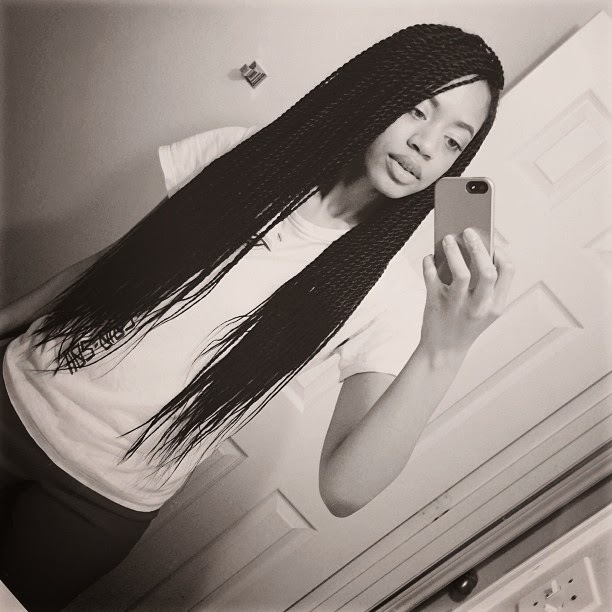 I've always been a "braid" kind of girl, I like my hair extensions and I rarely have weave installs. 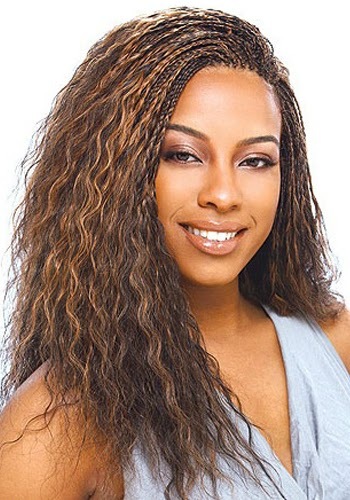 When installing braids, I only ever use X-pression hair. The packaging must say "Made in Nigeria". 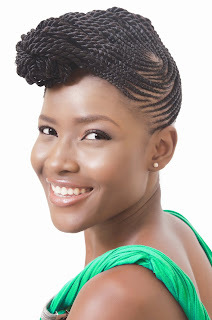 Whenever I'm in Nigeria, I always go to Balogun market, your go to place for all things associated with hair in Lagos. The minute you walk into the narrow alley way, there are stall holders shouting "Is it Brazilian you want? " "Sister, check this side we have Indian" "Aunty, what do you want? Is it cream? 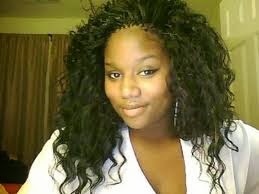 Or weavon?" 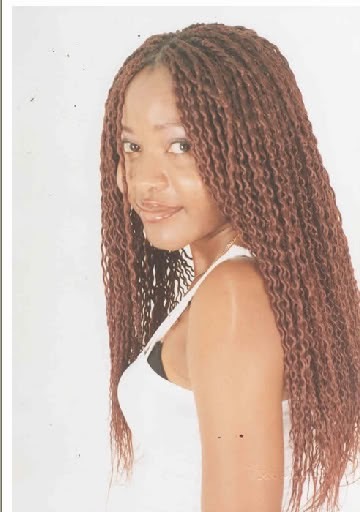 The first time I had braids, I used "human hair" it cost an arm and a leg for 3 bags (enough for a full braid install), but it was worth it, what didn't I do to my "human" hair extensions? 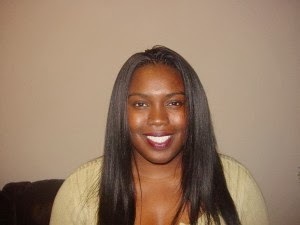 I washed, blow dried, curled and straightened that install. The disadvantage was after 8 weeks, the braids were taken down and the hair extensions thrown away (years later at a salon in Lagos I discovered people reuse their "human braiding hair"). 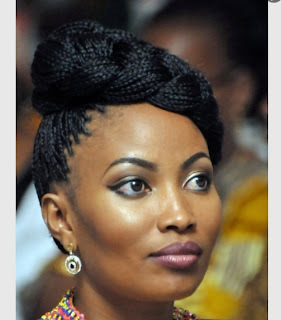 Ever since that install, I would do my braids by myself with "human hair" extensions. 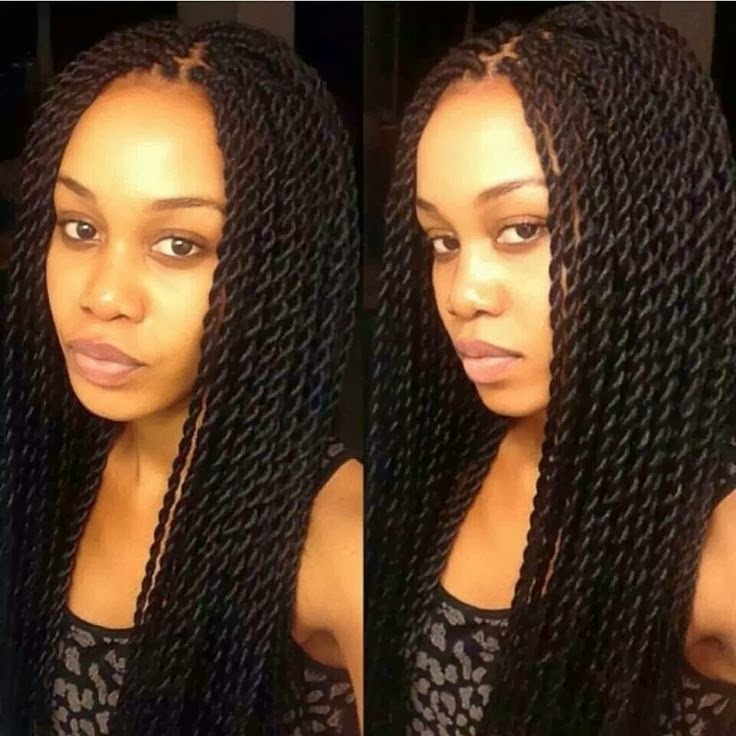 I often bought colour 1, 1b and colour 2 to get this effect but braided the hair to the ends of my natural hair. Whilst on holiday in Lagos a few years back, my Aunt had called some stylists to do my hair at her office, they came with a bag of hair. my Aunt brought each bag out one by one, the stylists were eager to impress "Mummy we have Amina, we have Amigos", to which my Aunt replied "Nobody uses Amigos again and , AmAmina is too harsh. Go and buy expressions and start doing this child's hair"
Years later as a stylist and one who has been to "learn salon work" (learn under braid experts) Expressions is the most versatile type of hair extension you can ever use. Pick and drop, a style where the hair is braided from the roots a few inches down, in some cases a knot is tied at the end of the braid, depending on the stylist and if the client is going for a bone straight look. It can be left straight, or braided, or thread can be secured at the ends, pulled up creating a spiral shape, dipped in hot water and unraveled, for a curly look. 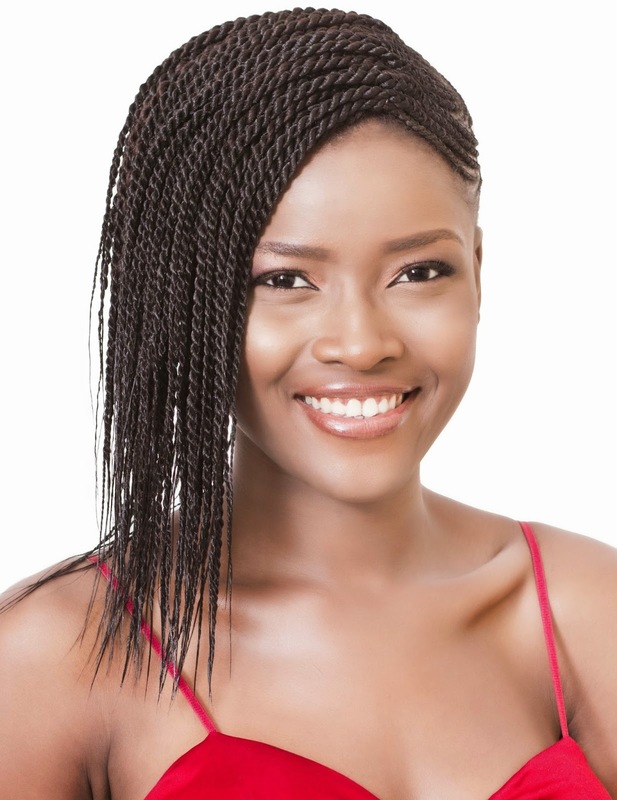 Tree braids also known as fishbone or African Queen, to achieve a sleek look, it can be blowdried or flat ironed on a low temperature. Yes, this was done with expressions, a well trained stylist should know how to manipulate expressions to create majority these styles. You can create a bob, by holding the ends of the hair in a curling tong and dipping it in hot water at the same time. On the back of each packet of X-pressions, it mentions it contains kanekalon hot water technology, which means it can be manipulated by braiding, twisting and curling then dipped in hot water. 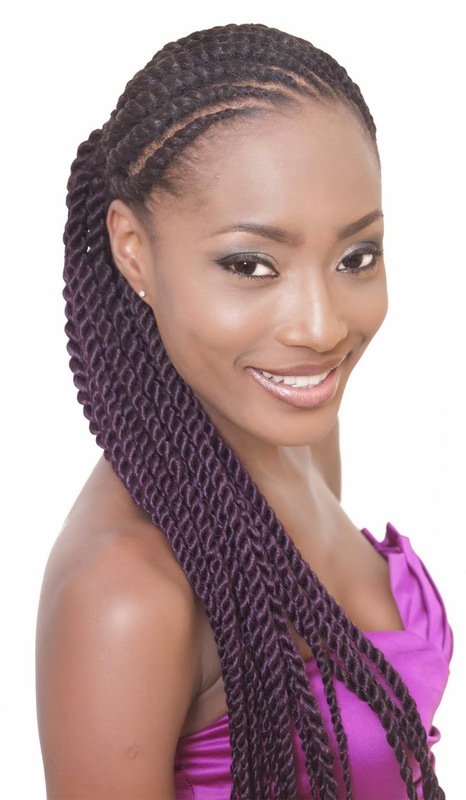 The trick is not to dip the hair into boiling hot water when the hair is braided or twisted to the ends. Let the water cool down for a minute, then dip it in quickly, use a hot damp towel for the hair near the roots, add mousse and hairspray for the the finished product. Only dip it in boiling hot water when you have manipulated the hair first by braiding or twisting, do this whilst it is dry if you want a curly/wavy look, and leave the hair for a few seconds in boiling hot water. Take it out, and squeeze it dry with a towel or an old t-shirt, this helps to hold the new curl pattern, then unravel, the twists, braids, or thread used to manipulate the X-pressions. A lot of my African American clients swore by Kanakelon hair, until they use X-pression hair, the icing on the cake is it comes in over 50 different colours. My favourite colours to use are colour 33, colour 4, colour 1 and colour 30. Which styles do you like above? Which styles have you done before? Leave a comment below. 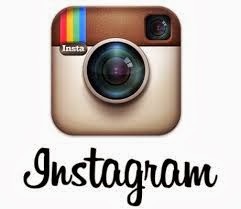 In my next post "Product Junkie" I will have a giveaway so check back, for all the details and how to enter the giveaway. hey! so I just came across this .. 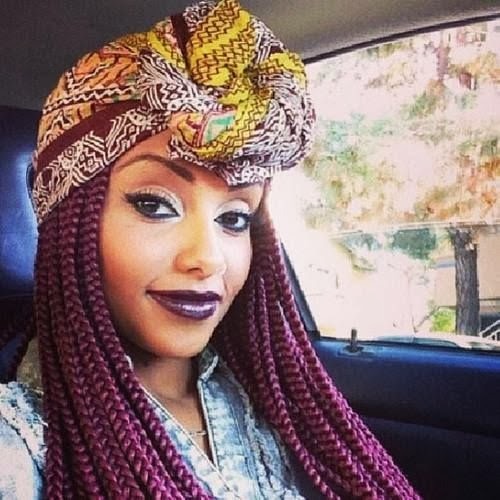 I am in love with the "Jumbo Braids 30" picture ..because I would like my hair exactly like that and that exact color as well..How many packs of Xpression hair do you think that is? Hi Karina! 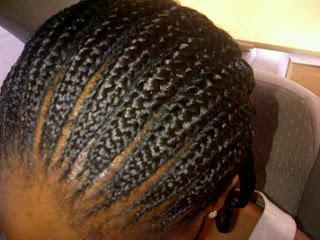 Thanks for checking out the blog, You will need 5 to 6 packets of Xpression for this style in colour 30/27. You can get the hair in New York from beauty Supply stores, Harlem Hair and Wigs, its $4.99 a pack, in London, they sell it for £1.99 a pack, but I am concerned about authenticity, look at the back of the pack for the manufacturers information. If they quote a price higher than $4.99, negotiate with the store as you will purchase more than 4 packs. Pls, email me hairmillionaire@gmail.com, to book, or for further questions. 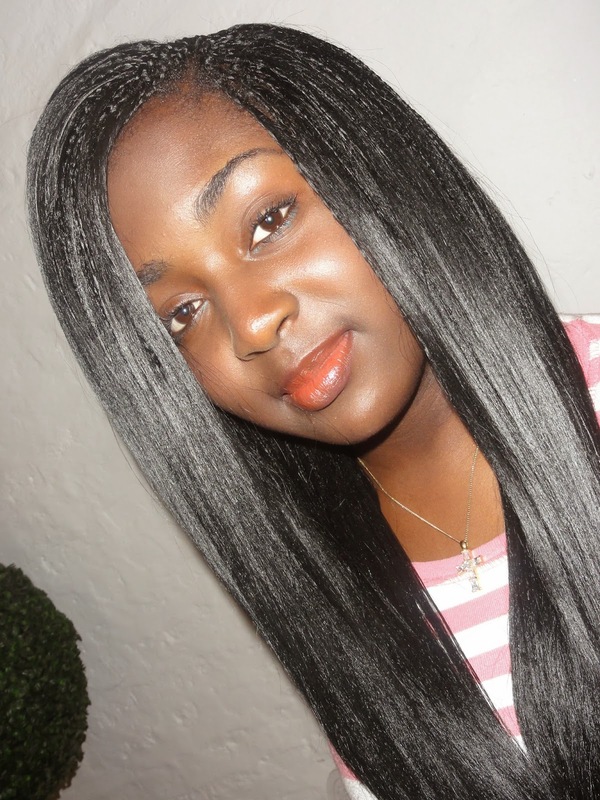 You can also purchase this hair online. LOL at big head, I am sure your head size is fine, there is a particular method your stylist can use next time where the hair is full around the perimeter of your head and not as full in the middle, to distribute the weight evenly around your head, any more than 5 packs of the Ultra braid X-Pression which weighs more than 130grams per pack, then it becomes too heavy. Try it next time, any more questions please ask away or email hairmillionaire@gmail.com to book an appointment. I like the Tree braids look. 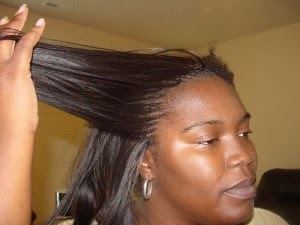 Did you say it was the expressions synthetic hair extensions that were used? My issue is that I go to the gym quite a bit and I'm concerned that it would appear 'frizzy' after a couple of weeks. i love this! 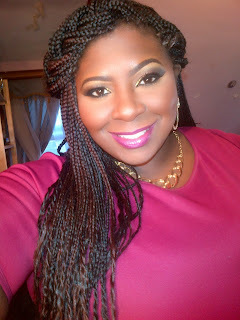 especially the micro and box braids. so gorgeous! 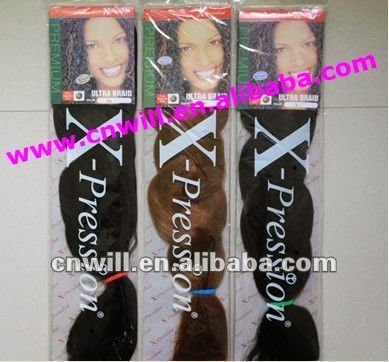 Hi, how many packs of xpression would I need for a full head of either senegalese twists like the waist length small-medium sized twists? And how many packs of xpressions for full head of pick and drop? I was going to purchase 4 packs but have seen people online saying 8-10 packs but I feel as though thats waaay too much? 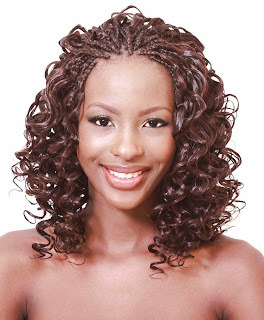 Whether it is a braid, curly or straight hair, hair extensions work wonder for all women. 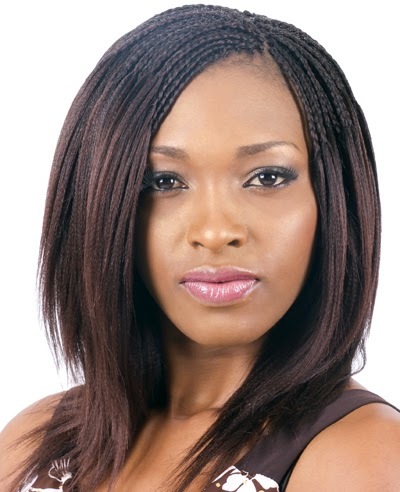 Almost all women love to have hair extensions for formal events especially when it comes to human hair extensions. Even though you are offering high quality extensions, your customers will hardly get attracted unless you use custom hair packaging boxes. By providing well designed hair extension boxes, we can easily convince customers to make a purchase. 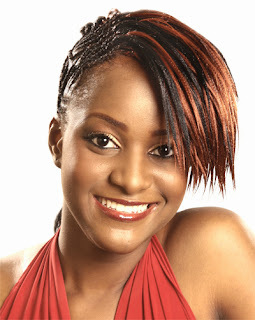 Hair Extensions can embellish your hair style, Bring your hair accessories and let create a hair style for you. 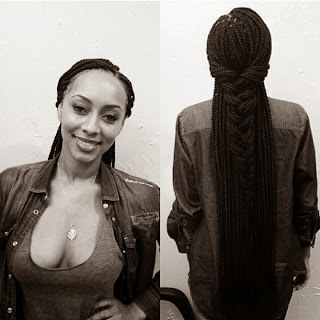 Is same x-pression hair used for the curly/wavy tree braids? Hey i love this blog! 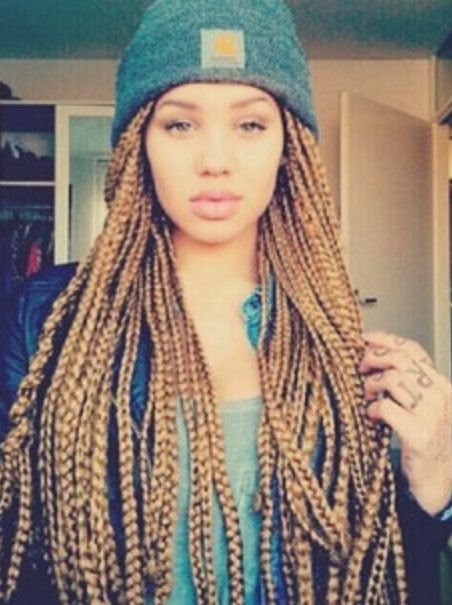 I am currently addicted to box braids i use colour 4 from x-pression but i really want to venture out and use other colours so i was wondering what is the best colour that matches colour 4 ? Thanks for the variety and complete info. 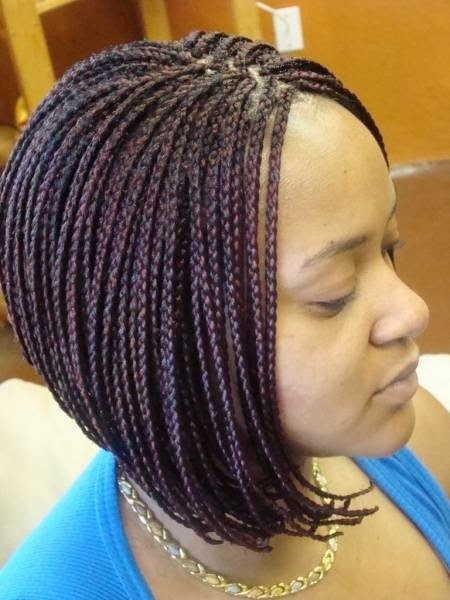 Can I cut xpressions box braids into a Bob n burn the ends.